While Mirror Magic North Texas is all about fun, we appreciate your taking the time to read and review our policy page, and terms of service – because it’s not so fun! It’s important for both parties to have a clear understanding of what to expect. Let’s begin with the not so fun stuff, so we can get to the fun part fast! Your event will be confirmed by the owners of Mirror Magic North Texas. The total for service will be is listed in your confirmation email; the invoice balance will be due in full 72 hours before event day. Failure to pay the event balance in full before event day could delay your reservation or make it subject to cancellation. If an overtime performance is requested, those amounts must be paid when services are requested. Our overtime rate is $200 per hour. Non-performance or idle time is booked at $35 per hour; this is the time that would be between the operations of the mirror booth; like early set up times, etc. Failure to return the requested deposit within 3 days, will cancel any bookings/reservations being held. All payments can be made by credit card, cash or PayPal. For their safety, children under the age of 13 years old must be accompanied by an adult during the process of using our equipment. Mirror Magic North Texas enjoys a good party, but the mirror photo booth is not a good place for food or drinks, and we reserve the right to refuse to service those who have either. No event is ever confirmed without a booking confirmation and a paid deposit. No refunds within 30 days of event day for any reason. Refunds of deposits before 30 days of the event day are acceptable, however, Mirror Magic North Texas will charge a $200 cancellation fee. Failure to submit your event booking form and your deposit within 3 days of reserving; will make your event reservation subject to cancellation. The client will provide Mirror Magic North Texas with the event venues’ name and address when booking. It is the client’s responsibility to inform Mirror Magic North Texas in advance of event day if there are any known obstructions, stairwells, small elevators, narrow corridors’ or such that may require special labor and handling to deliver the Mirror Magic Photo Booth and related equipment. If any venue has ‘special delivery’ requirements or any additional labor is required to enter a location those labor amounts will be billed to the client at a rate of $150 per event delivery; additionally, the client could also occur $150 charge for ‘special removal’ requirements. The client understands that Mirror Magic photo booth is essentially a 200lb armoire, and delivery to any location with any staircases/stairs, tight/small hallways, or even an extremely long walking distance to specified location could result in ‘special delivery and/or strike charges.’ Client agrees to verify with the venue, delivery route into the building, and ease of access for our delivery team. It is not our goal to charge you any extra fees, but to avoid any confusion in advance of the expectations of terms of delivery, and service. We reserve the right to refuse delivery of Mirror Magic photo booth to any location that is highly difficult, or dangerous for our team to execute. All payments will be forfeited, should the client fail to inform us in writing of any special requirements to successfully execute delivery of Mirror Magic to their event location in advance of event day. Our service is limited to what is detailed on this event agreement such as dates, times, team attire, delivery/performance times, equipment rental & staffing needs. Any additional assistance/advice or services offered to our clients is in good faith to help achieve a successful event. Mirror Magic and team, are not responsible for any loss, lost/stolen, misplaced or wrongfully allocated items at any event. If the client has any specific requests or service modifications for our staff those instructions need to be provided in writing (7) days prior to the event. Mirror Magic North Texas has the right to refuse any requests that are not a part of our terms of service. Mirror Magic North Texas is bonded and insured. Occasionally, some venues require specific riders for their venue. Please notify our office if a rider is requested by your venue, allow (10) business days to process the request. Mirror Magic North Texas owns the copyrights to every image taken at any event; Ben and Mindy Ramirez retain ownership of all images. Mirror Magic North Texas will use images taken for marketing, social media and branding of our services. If you prefer that we do not use your event images, you must specifically tell us at the time of booking, in writing. Declining the use of event images may affect your event rate. The prices listed on this website take ‘rights to use images’ into consideration. If your event is scheduled to be outdoors, the client will furnish at their expense, a 20 x 20’ leak-proof protective tent with sidewalls, (NO POP-UP TENTS) for the Mirror Me Photo Booth. Mirror Me Photo Booth has the right to refuse to set up at their discretion if tent is not suitable. 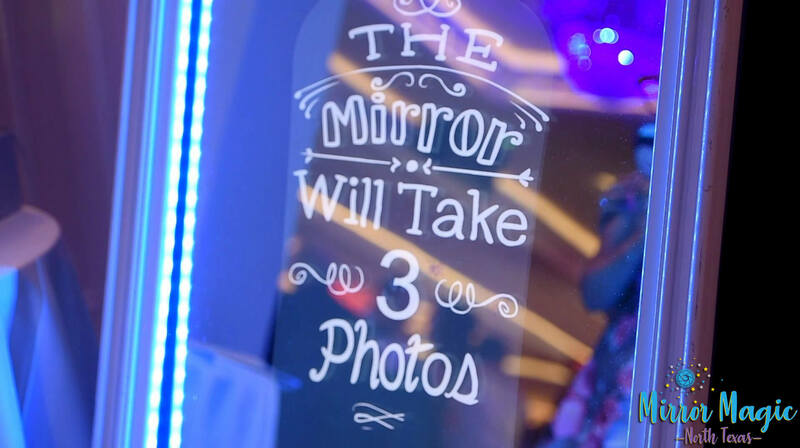 Client will be fully liable for any damage done to the Mirror Me Photo Booth due to negligence on the purchasers, or their guest’s part, or inclement weather damage due to non-suitable requirements. Client is responsible to furnish one electrical drop at the designated setup area. In the event, extreme weather would create any “State of Emergency” or “Hazardous road conditions” that would impair our staff or your guests to be able to safely make transport to your event; the event would be subject to cancellation. The lines of communications would open-up between the signor and Mirror Magic North Texas early that day acting in the best interest of both parties and to find a reasonable solution. If that means the event needs to be rescheduled or canceled, (or delayed), deposits would then be forwarded to a new available event date. This would be considered an “Act of God” and any unused deposit may be forwarded to a new event date up until one year after the original event date. It is highly unlikely that this would occur, and is only precautionary statement for events in winter months that are subject to extreme weather and hazardous conditions. Trust we will make every effort to never cancel an event, and will only do so if it would compromise the safety of our team. If you’re ready to book now that you’ve read our policy and terms of service, click here to return to the let’s book page click here! Privacy – Your contact information is safe and secure, we will not share your information with others. 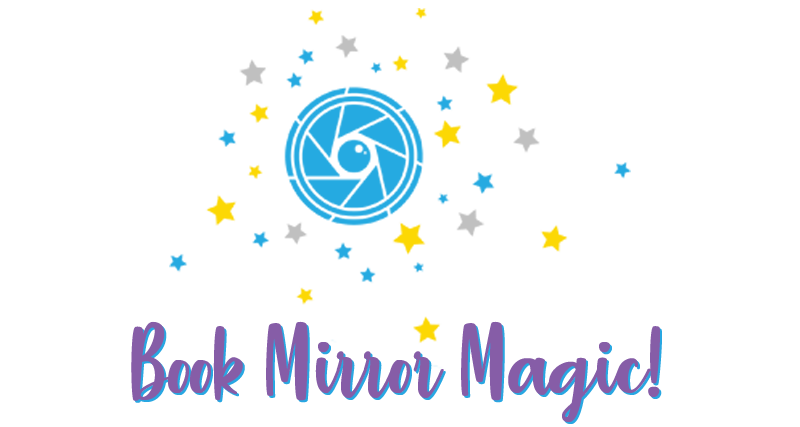 Mirror Magic North Texas and all the content on this website is protected by copyright laws and all the images and video are the exclusive property of Ben and Mindy Ramirez, owners of Mirror Magic North Texas, an entertainment company. Any use of the contents including written copy, photo images and video of this website is strictly prohibited. Call 214-901-6170 should you need help or further explanation of our policies, or email us for help!